Dorm rooms are equipped with bunk beds. You can book either female only or co-ed (mixed). A private room has a queen size bed. But you still have to share a bathroom! Most of My Hawaii Hostel's rooms are shared. This is a very typical set up for hostels around the world. Sharing rooms allows for the lower prices characteristic of hostels and for a chance to get to know your fellow travelers. However, we believe that lower prices shouldn’t mean lower quality or less service. 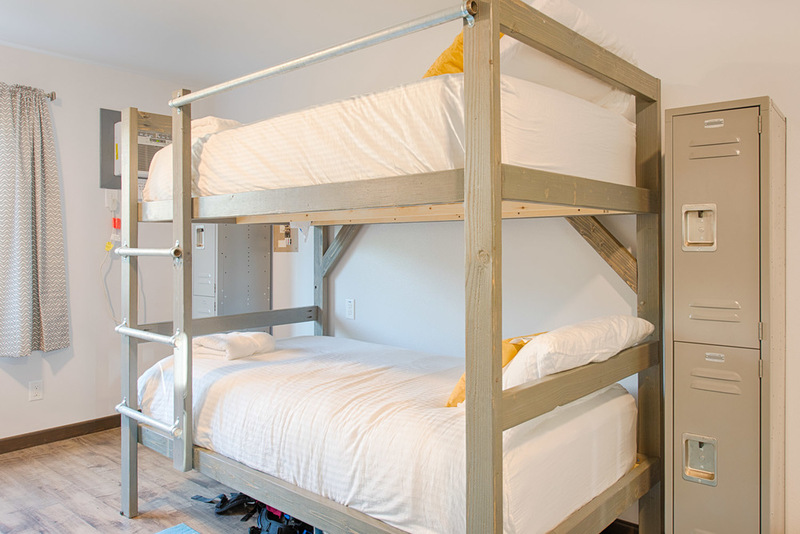 Our bunk beds are sturdily built of wood to avoid shaking and creaking as your bunkie climbs up. 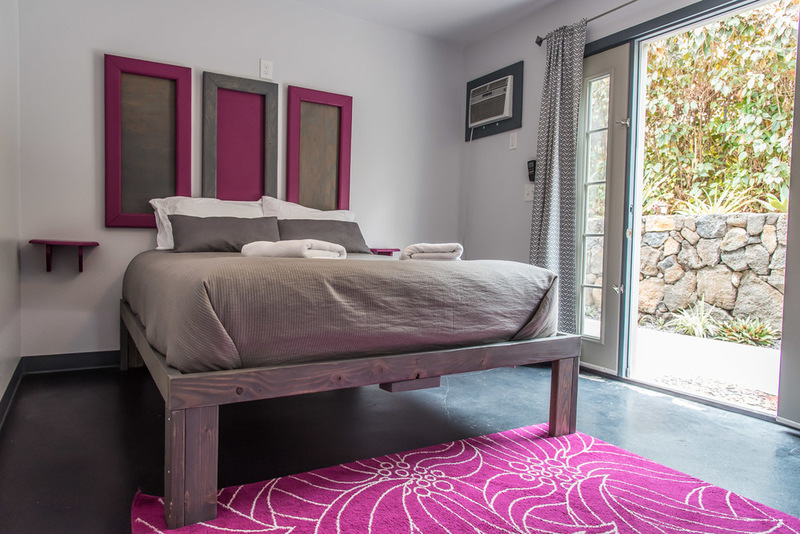 High quality mattresses and linens will ensure you get a good night’s sleep. Each guest has their own locker (keyed lock included), bedside hooks, and outlets. No more fighting over plug space to charge your electronics! 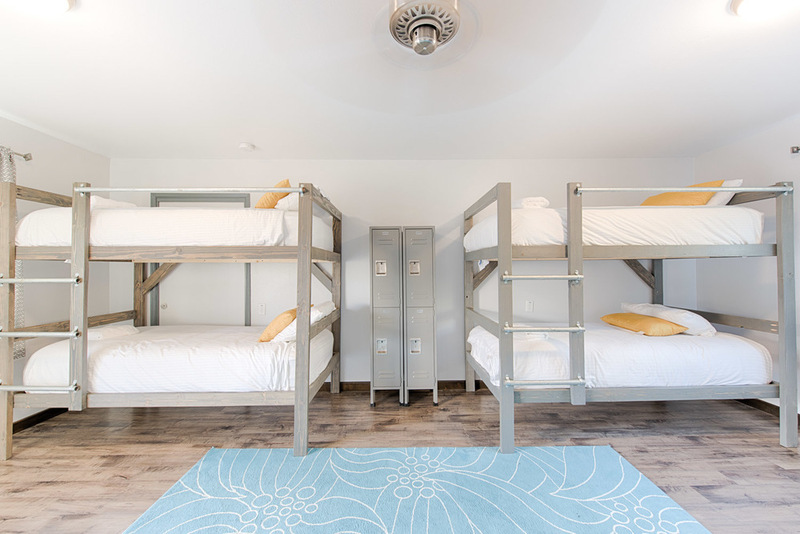 In addition, our beds were purposely constructed higher off of the ground to accommodate large suitcases and even bike boxes! My Hawaii Hostel's rooms offer travelers a clean, comfortable and secure place to stow their belongings during the day and lay their head at night. *My Hawaii Hostel is a two story building accessible only by stairs. The bathrooms, lounge and kitchen are all on the ground floor. If you have mobility issues around stairs please contact us and we can book you into a ground floor bedroom. In addition, if you require a bottom bunk, please let us know ahead of time. My Hawaii Hostel dorm rooms are comfortable, stylish, and functional! Each bed has its own outlets. There is ample storage under the bed for your luggage and equipment. 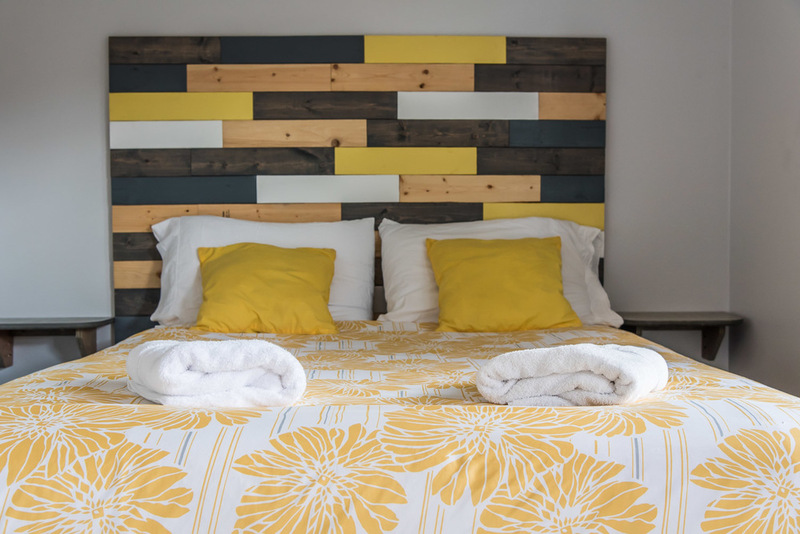 Hooks on each bed provide space to hang your wet towels and beachwear. And most importantly of all, the mattresses are thick and comfortable and the linens soft and fresh. Sharing a room is what allows the prices at hostels to be affordable especially for solo travelers. In addition, a dorm room makes it easier to meet new people. If you are looking for a bit more privacy but still want to stay in a social environment, a private room is a great option. My Hawaii Hostel private rooms have a queen size bed that can accommodate up to two people. However, even with a private room you will still have shared bathroom facilities.